How do you spell fun? M-O-N-T-E-R-E-Y! Our mild temperatures and coastal location makes it possible to enjoy endless outdoor and even indoor activities all summer long. Whether visiting for a weekend away with someone special or a family fun getaway, Monterey is your one- stop destination this summer (and always)! Planning a romantic getaway is just a click away at the Portola Hotel. Choose from a Spa Renewal Package for Two or a Big Little Lies inspired weekend with the Big Little Getaway Package (breakfast and mimosas included)! Rent a tandem bike and explore the coastline on two wheels or tour the Monterey Peninsula via a Scoot Coupe or California Roaster from Sea Car Tours Monterey. Visit Sovino Wine Bar & Merchant out on our Portola Plaza and select a bottle of wine to bring down to Monterey State Beach to watch the summer sun set with that someone special. The Monterey Bay Area is a foodie’s dream location. The bounty of fresh summer produce and fare is available throughout the region. With a special Summer Menu featured now at the Portola’s Jacks Monterey restaurant, enjoy lunch and dinner daily and brunch every Sunday. Book the Portola’s Wine & Dine Getaway and indulge in Jacks’ Harley Farm Goat Cheese Appetizer paired with a complimentary glass of either Chalk Hill Chardonnay or Simi Cabernet Sauvignon. During the day reserve a spot on the Wine Trolley and discover boutique wineries throughout Carmel Valley – or walk and sip your way through tasting rooms in Carmel-by-the-Sea by purchasing a Carmel Wine Walk Passport. 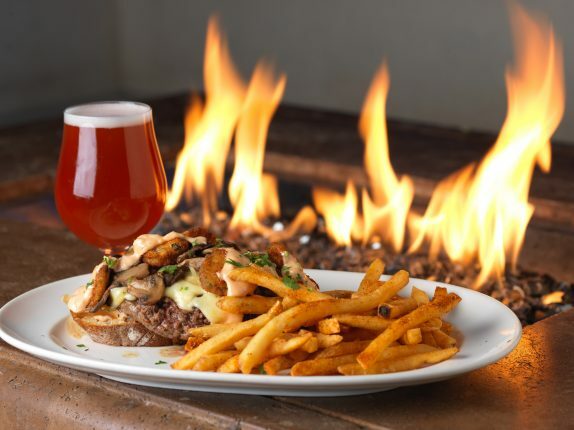 And craft beer lovers – do not fret – the Portola also offers a Brews for Two Package which includes two craft beer flights and a chef choice appetizer at Monterey’s original craft brewery, Peter B’s Brewpub. 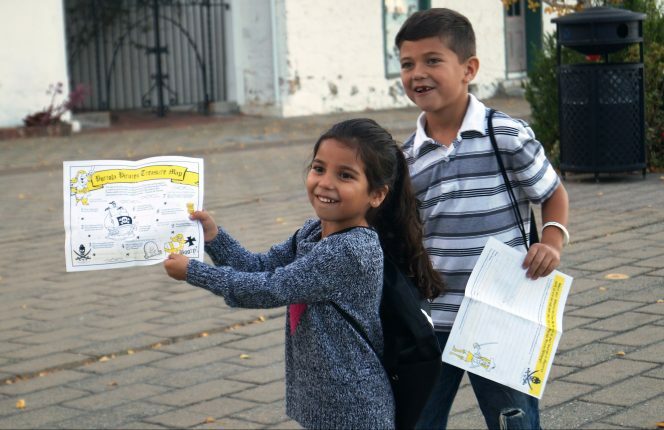 The moment you check in at the Portola Hotel & Spa with your family, you’ll be greeted by warm chocolate chip cookies and a treasure map for a pirate-themed scavenger hunt for your Portola Pirates, ages three thru 12. With endless family-themed activities (most within walking distance), explore historic Fisherman’s Wharf, walk or bike along the Coastal Recreation Trail and take in the sights on your way to Cannery Row. Play blacklight mini golf, visit the Exodus Escape Room, endless sweets and souvenir shops and of course the famous, Monterey Bay Aquarium. Visit MY Museum and the Pacific House Museum where the kiddos can enjoy interactive exhibits, then return back to the Portola for dinner at either Jacks Monterey or Peter B’s Brewpub – each with yummy kid’s menus! Kids having fun with the Portola Pirates map!